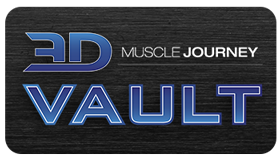 Ever wondered about the “behind the scenes” operations of 3D Muscle Journey? 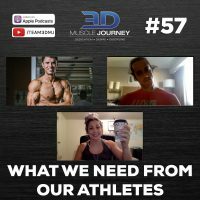 In today’s episode, Andrea, Brad and Alberto talk about the various communication methods they use to best support their athletes. Topics include: What information is collected prior to working with a new athlete, how their weekly coaching system works, and the rationale and benefits behind the 3DMJ Skype Program. Along with discussing these technicalities, the group also touch on the indirect benefits which come from the methods they use (non-verbal cues, honesty, rapport, trust, etc). Join us this week to learn all about the “ins-and-outs” of how to establish effective coach-athlete communication. 2:33- What information does 3DMJ collect prior to starting with a new athlete?